Pre-sale registration is now open. 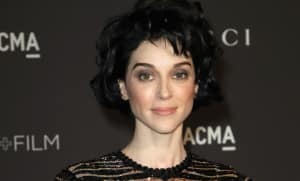 St. Vincent has announced a fall tour, "Fear The Future." Pre-sale registration is open now., and those tickets will be on sale on June 27. The world tour will include multiple stops in Europe and the U.S. You can register for pre-sale tickets here. All tour dates are listed below. Watch St. Vincent's announcement video above.